Mobile devices have become a staple in our daily lives. Service providers and cell towers are constantly recording our locations. 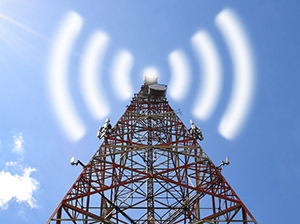 Cell site analysis is the technique of placing a mobile device in a specific geographical location, at a certain date and time using mobile call detail records (CDR) and cell tower surveys. The survey will show the strongest serving tower at a particular location, which can validate associated CDR data. Therefore, the use of cell site analysis to examine that location information can be crucial to most investigations. The results of the call detail records (CDR) analysis can be used to show if the accused mobile device was used for calls, text messaging or data sessions at a particular place and time. Code Blue provides expert cell site analysis to include call detail records (CDR) examination and mapping. The evidence gained through cell site analysis can be extremely beneficial to a case and with a thorough examination of the call detail records (CDR), can show the likely location and movements of a mobile device.